Host-FX handles effects, pedals, and processors. Input stereo audio (or mono mapped to stereo), get stereo output. Stereo only, not multichannel for now. What isn’t routed: there’s no clock as such (better to clock to something else, and send other CV and gate with that clock signal). And you don’t get MIDI out, either, just stereo audio output from both Host and Host-FX. Of course, if you want those things, you can still host VCV Rack alongside your other plug-ins inside another DAW for now. What platforms? Mac, Windows, and Linux – Host will support native plug-ins on each platform, so not only Mac VSTs on macOS and Windows VSTs on Windows, but on Linux that means Linux VSTs. 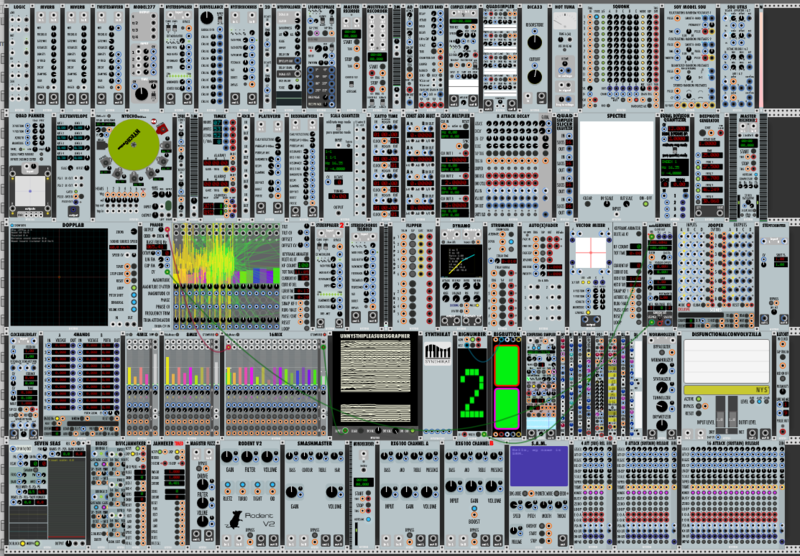 It’ll be interesting to see how Rack eventually handles polyphony, but for now that’s a reasonable (possibly even interesting) limitation in some fairly unlimited software. Thanks for the tip, Jim!